TODAY'S LIST OF WHAT'S FRESH COMING INTO A.V.A LIVE RADIO. 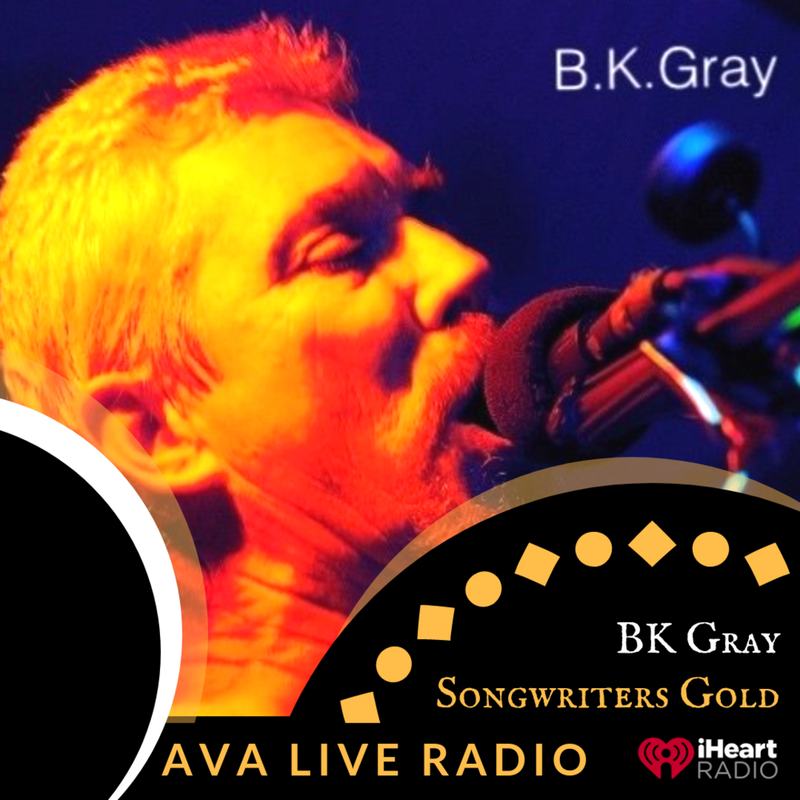 THIS IS A SONGWRITERS COUNTRY GOLD SHOW SEGMENT FULL OF MUSIC THAT WILL INSPIRE YOU AND SEND YOU SEARCHING THE ARTISTS PAGES FOR MORE. EPISODE HOSTED BY JACQUELINE JAX. The music we are creating is "Thank God It Didn't Work" and my 'Halfhearted" album are all original songs that I wrote mostly after my time on American Idol. My new album, "Halfhearted," has just been released. It's been a Top 10 Country Album on iTunes and has received over 2.5 million song streams. Check it out! I am a from Alberta, Canada where my pursuit of music began just over a year ago. I have been told for many years that I should pursue music but finally decided to take the chance and audition for The Voice in Austin Texas. After returning home I did not let the rejection stop me and continued on building a small fanbase. My very first song “What you mean to me” was written thinking about my girlfriend. I have been working awaay from home for 12 years missing many different holidays and special moments. My first single is about the hardships and sacrifices made to make my families life more than I ever had. I love to create music because, Music can and does change the direction of a persons life one verse at a time. Music has taught me that through tough times, music will always be there to inspire. People describe me vocally as a mix of Chris Young, Josh Turner and Zac Brown rolled into one, with a touch of Johnny Cash. I like that because Josh Turner and Johnny Cash are 2 of my all time favorite Country Artists. And maybe surprisingly, CCR has an influence on my style. I wrote this song during a recent period in my life where you realize sometimes you don't know what you've got until it's gone. I think any fan of Country Music will connect with the imagery and about any fan of music will connect with the message. I'm excited about 2019! I went through some changes the middle of this year that has allowed me to get out and gig more and, WOW! I'm also excited about the Music Video for Home. We just finished filming & it should be out in late November. This song is... " Southern Girl" is based on the prodigal son story in the bible but in my musical story she is the Southern Girl. We have all gotten lost in life trying to find our way,trying to find who we are, and trying to figure out our journey in life. My song is to encourage you and remind you that God is the answer to all of that. He left the porch light on until you find your way home to him. The music we are creating is... : My music is intentional lyrics that tell a musical story that will encourage you, inspire you and give you hope. Right now we are...: My new EP will be out before the HOLIDAYS !!! Four new songs on this EP. Inspired by the coming holiday season. It’s a Christmas song, but not overtly so, filled with the hope and comfort of the season. Primarily acoustic piano and guitar. Planning a video to go along with this single, looking for opportunities for cross-promotion with other artists, and looking forward to a livestream show on “Rocking The Valley” on Facebook on 11/28. All I Ever Cared About‘ takes you on my personal journey through love found and love lost. This is a raw and honest reflection of the darker side of love. I am a Musician and soulful Singer/Songwriter. Drawing inspiration from my own life experiences as well as influences such as Shakey Graves and Mat McHugh. I hope that my music helps others to break free from their own barriers and be who they want to be. Stating the obvious a country song that speaks about coming together as a nation during difficult times. You may hear musical influences like Johnny Cash, Waylon Jennings, Merle Haggard and Hank Williams. You'll get your groove on with this country tune! Focusing on more live show and events. A big push to reach more country fans and connect with music lovers all over the world. Yes more songs to come as they are in the process of being developed. This release is a fusion of my passions in Country, Americana, and Folk music. The hope was to write and release relatable songs that have good hooks. Right now we are focusing on PR, marketing, and writing for the next project that will start recording in January 2019. I just released four new songs that are available on ReverbNation and plan to have my third album completed next year in the spring. My music brand is classy, elegant, honest and authentic. THE WOMAN I WAS is a story of rebirth, throwing caution to the wind and reinventing yourself. Audiences will love this easy-listening tale of taking control with no regrets. It is significant to me as it tells the tale of my life at the moment. I am moving into a new chapter of my life, during which I have had to learn who I truly am and what I really want. I’ve had to learn to take control of the direction in which I’m going moving forward. This is not an easy thing to do, but worthwhile and rewarding. Right now is an exciting time, I’ve just released my EP that showcases the direction my music is taking. The songs are powerful, inspiring and current. The first single, IF THIS IS ALL THERE IS, which also has a music video on YouTube, received an extremely positive response from the public. @charleesasounddid you hear we are on track for 22 million downloads this year. Its one powerful show! It's crazy the numbers that are happening. How well did today's show do? killer stuff! Can't wait for more from you!